(0 Customer Reviews) | Write Review 12 issues per year OnOffice is the UK's leading publication for the commercial architecture and design community, featuring cutting edge workplace design, projects from the hospitality, education and civic sectors, interviews with leading industry figures, and the latest news. Looking for OnOffice in print? Unfortunately pocketmags.com does not sell print copies of OnOffice, but all is not lost. Our partner at magazine.co.uk sells print subscriptions at the best prices online. 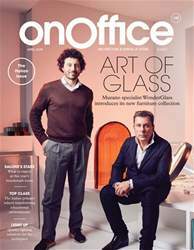 Since the beginning, OnOffice has been paving the way in worldwide office trends, design and architecture through high-quality journalism and beautiful imagery. As businesses must cater to the on-demand and ever-connected customer, technology has transformed consumer behaviour forever. Our Modern Issue explores this evolution, but also examines what modern means at work. From work-related trends, such as the importance of reliable technology to up-and-coming talent building a better future, this month we examine why physical workspaces matter in today’s digital age, with special highlights including Spacon & X, Vitra and an exciting new series by Assael Architecture who help us dissect how good workspace design can facilitate healthier working environments of the future. By bringing together fascinating interviews, insightful journeys behind the scenes and the industry’s most anticipated launches, our latest issue uncovers the people, trends and designs shaping our workspaces of tomorrow. 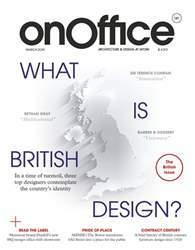 OnOffice is the UK's leading publication for the commercial architecture and design community, featuring cutting edge workplace design, projects from the hospitality, education and civic sectors, interviews with leading industry figures, and the latest news. You'll receive 12 issues during a 1 year OnOffice magazine subscription. 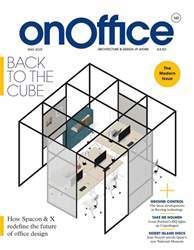 You'll receive 12 issues during a 1 year OnOffice magazine print subscription.